A level 2 triathlon coach specializing in swimming. I have been a triathlete and swim instructor for over 30 years. My experience includes racing and coaching all distances. Swimming: Private/public open water swim classes, and technique classes. Underwater video taping -for improving swimming technique. Cycling - analyzing power. I have been involved with the sport of triathon for over 30 years. I swam competitively from an early age through college. I found a love of cycling in 1987 during my collegiate swimming years. I then entered my first triathlon. I have been racing triathlon ever since. I started coaching and teaching swim lessons back in 1983 and have continued coaching/teaching all ages and levels on and off since. I also compete in bike racing; road, criterium, track and Time Trial racing. I have always had a love of coaching and teaching others in triathlon. I currently coach Masters Swimming and am the head coach of the UW Husky Triathlon Club. I also coach individual athletes. 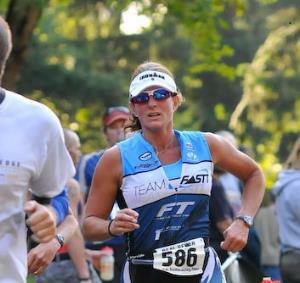 I started officially coaching triathletes with my own business in 2007. I am currently a Level 2 USAT certified coach. Elevation Multisport WA www.ElevationMultisportWA.com I also co-founded and managed Finish Strong Triathlon Team www.teamfastt.com. Finish Strong Events LLC is a race management company which I co-founded and operate. We host Open Water Swim events, run events and the Lake Tye Triathlon. www.FinishStrongEvents.com I also host triathlon and cycling training camps. Success. Coach Lisa Worthington has been notified of your message.